Math is a subject that teachers (and students) either LOVE or DESPISE. I love, love, love teaching math! Here are 3 tips to start your math year off on the right foot. Everybody knows that routines are important. There are routines for everything at school. 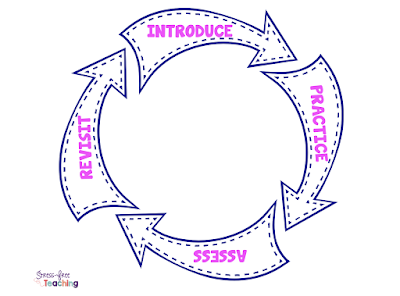 Setting up math routines at the beginning of the year is one way to make planning instruction easy and enjoyable. 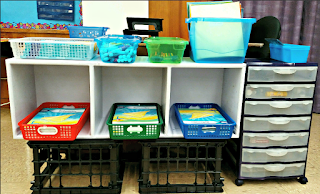 I use the workshop model with four stations to teach math. So, I spend the first few days explicitly teaching the model. I start by introducing the concept of Math Workshop. This shows two pages from my lesson. Routines for organizing and putting away materials, group work, independent work, station transitions, and turning in work are all modeled and discussed. 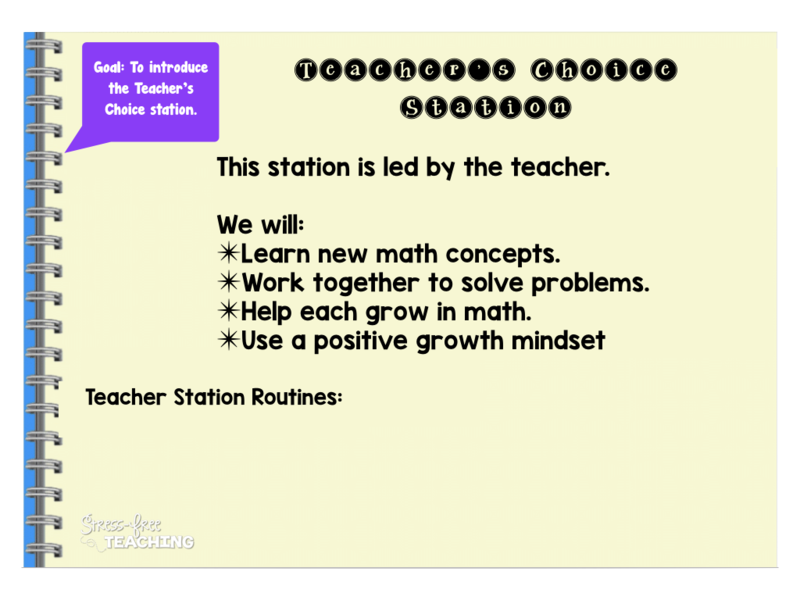 I introduce one station at a time and we practice that station as a whole class. Routines are created together. I add them as we talk in class. Once they really know the expectations and routines we launch into a full fledged lesson. It seems like a lot, but it is worth the time and effort it takes. 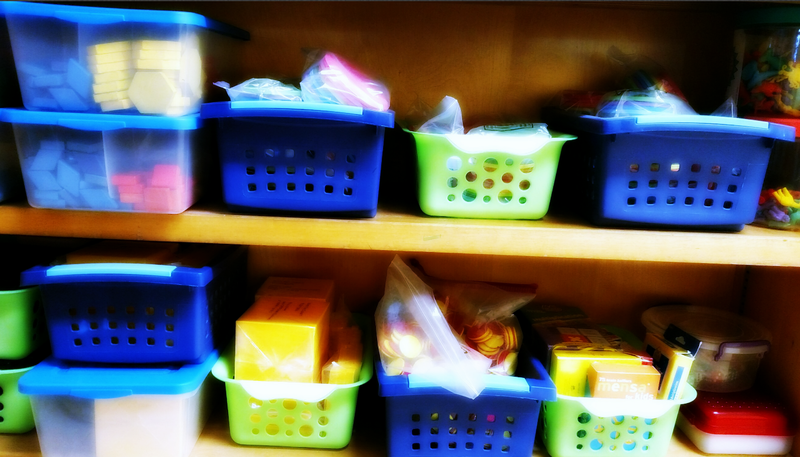 In my classroom I have a dedicated space for math materials. 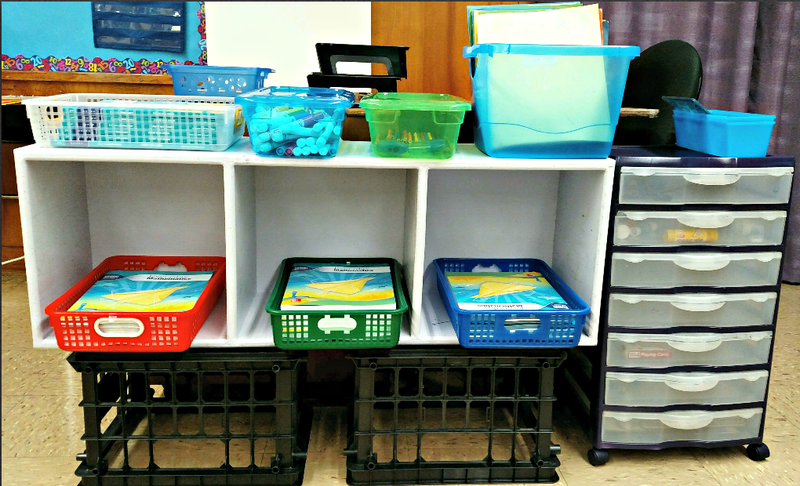 Group baskets hold math curriculum materials, group folders house differentiated directions for each group, and baskets (or bins) hold math manipulatives. This helps students to find things they need to be successful. My group table is stocked with everything I might need to teach a lesson. Chart paper, white boards, markers, tape, glue sticks, extra pencils, and anything else you could imagine is within reach. It keeps me focused and ready to tackle the teaching. 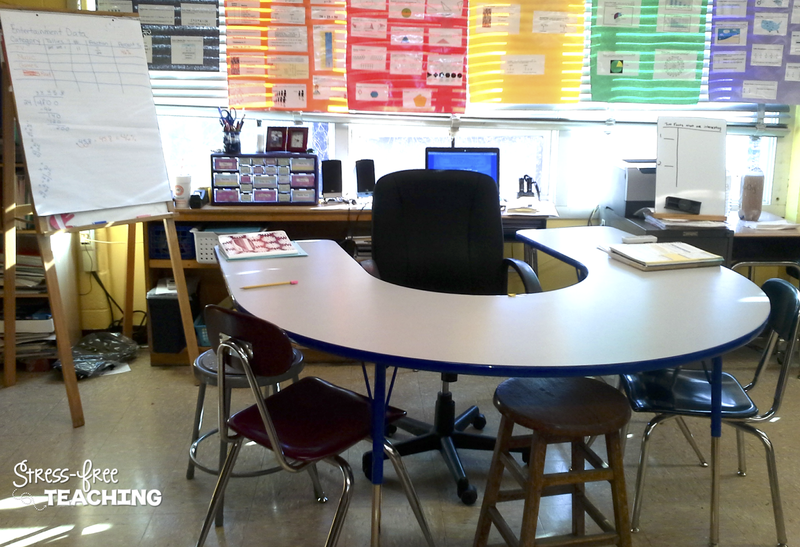 My desk/small group table. I wish I took the picture with my colorful stools! I will choose a piece of work, remove the name, and share it using a document camera. 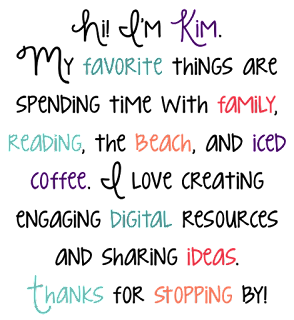 (Before I had a a document camera I would scan it and display on my interactive board.) Students use the discussion starters and we talk about the work. This is powerful because students learn that there is value in every piece of work even if the answer is WRONG. In fact, wrong answers are more powerful because students see the positive comments about the strategy used rather than the incorrect answer. 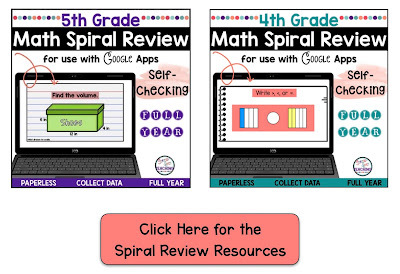 Math is usually taught in one of two ways: by unit or with a spiral review. In the unit approach decimal place value may be covered in September and then never talked about again. 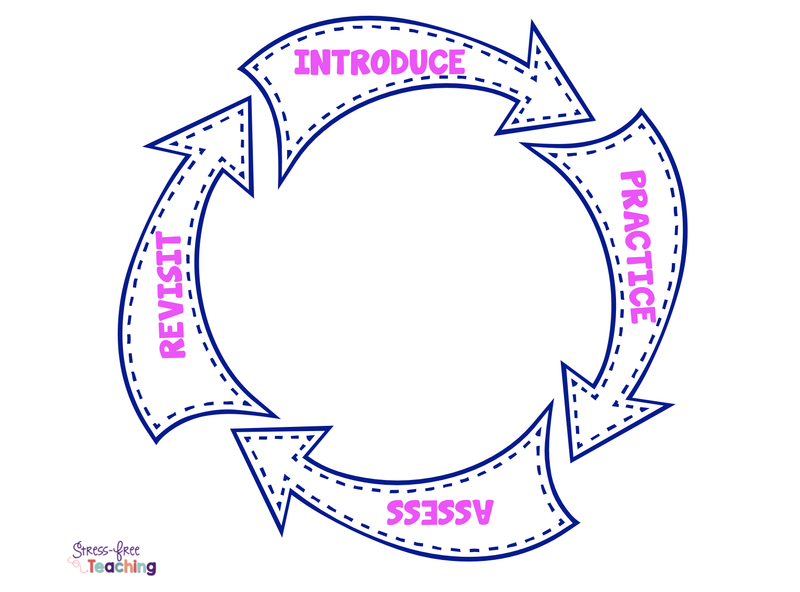 Teaching with a spiral approach means that you continually revisit concepts to make sure that students are keeping the skills we teach them. Good teachers work hard to make sure that students understand the concepts that are covered in class. Unfortunately, many of our students will "forget" the skills without continued practice. When I started teaching 20+ years ago I used to take a piece of paper and fold it into 6 boxes. I would put a different problem in each of the boxes. I chose problems strategically to make sure that my students were practicing math in the current unit, math that had already been taught, and upcoming concepts. I used this information to determine if my students were holding on to the concepts I had taught. I loved it! Curriculum and standards have changed a lot in the last 20 years. My 6 problem spiral review has, too. Last year I decided that there had to be an easier way to look at this work. Wait for it. There is! I played around with the idea in my classroom and loved the data that I was collecting. So, I spent my summer creating a full year digital version that is self-grading. Yes, you read that correctly, self-grading. 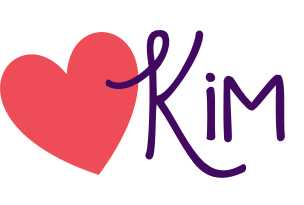 Click here if you are interested in checking it out.